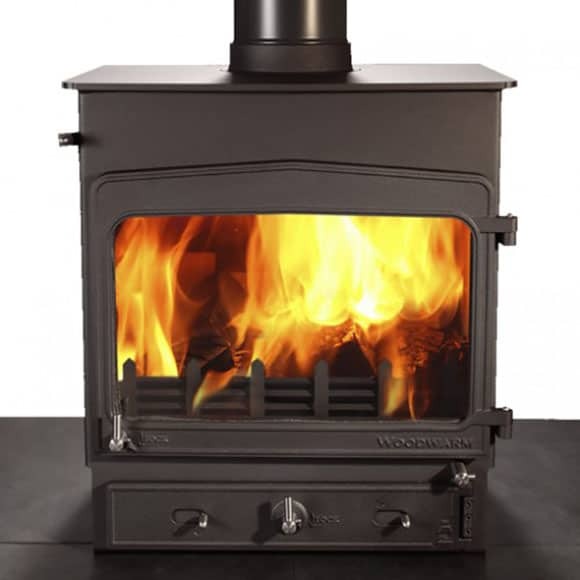 Woodwarm are a British company based in Devon, with an established reputation for designing and making excellent quality, well priced, multi-fuel stoves. Phoenix, their recent new range, are modern, stylish and highly efficient. The convecting models have the added bonus of a reduced distance to combustibles and only require 12mm hearths! This stove is the smallest out of this range but still has a large firebox for logs up to 310mm and a large glass door to watch the rolling flames. 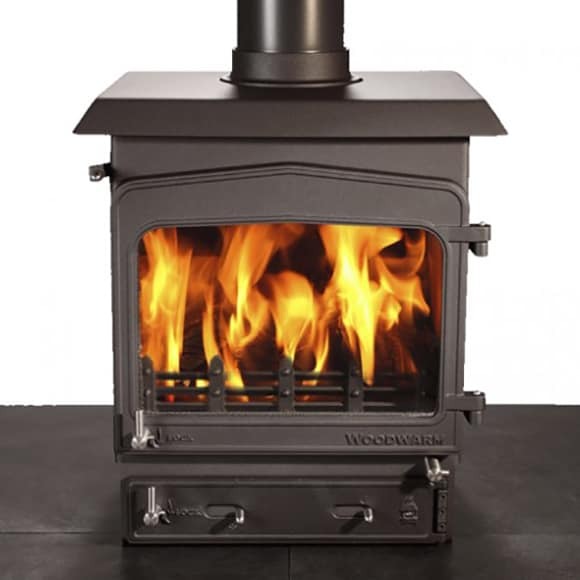 The Phoenix Firewren 4kW is perfect when space is limited, also a multi fuel stove giving more freedom with lighting. This stove is the smallest out of this range, but has a integral log store to give it some height and convenience for storing logs. 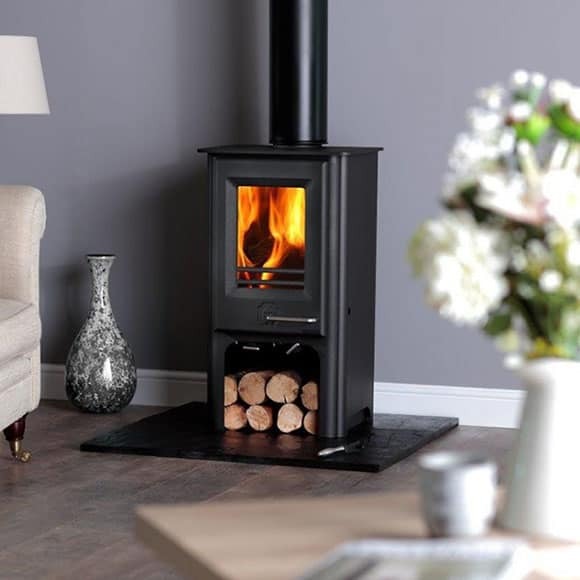 The Firewren Tall 4kW is perfect for both traditional or contemporary interiors. Different colour options to choose from too. 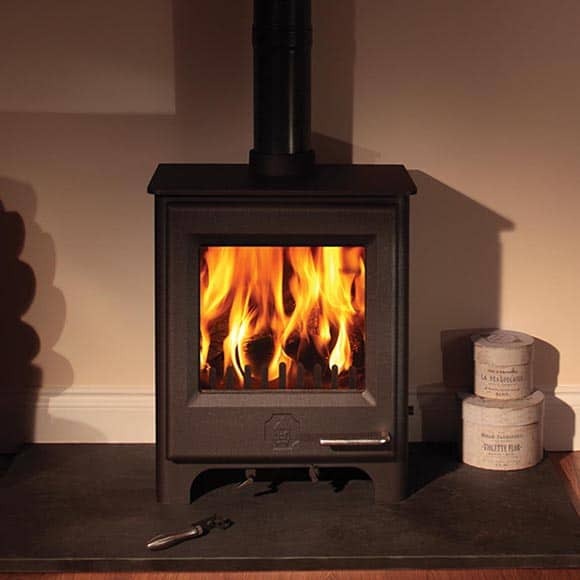 This 4kW convecting, multi fuel stove would be perfect for small rooms, lodges and boats. This is due to the convecting panels which enables a reduction in distance to combustibles. It also comes with a brass handle option, plus the choice of different colours. 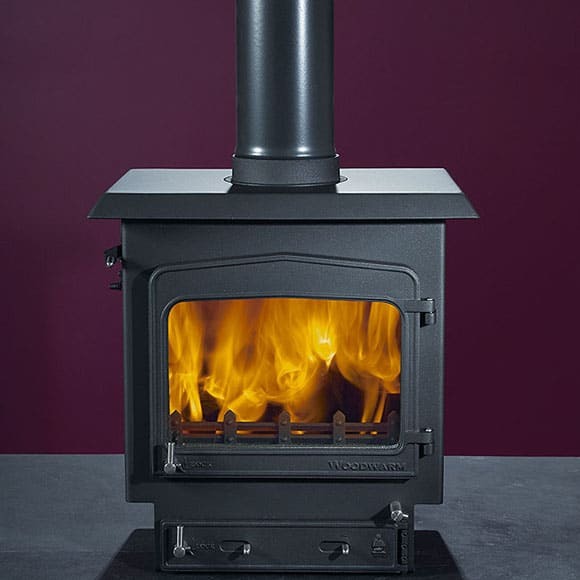 This Convecting 4kW stove is perfect for small spaces such as boats, lodges and small rooms. The integral log store gives the stove some height making it a perfect focal point to any space. It still has a large firebox where logs as big as 310mm can fit giving a perfect view of the fire. It comes with a array of colour choices. This stove would fit in the shallower fireplaces with its slender look. It has a more modern look with its clean straight lines. It is also multi fuel and has a clean burning system. The Phoenix Firegem comes with a variety of colours too giving the stove more flexibility. The Firegem Convector 5kW is perfect for more contemporary properties with its large firebox and window to view the fire from. It has convecting side panels giving a warm air distribution. It is also has a benefit of reduction to non combustibles meaning it can be fitted tighter into a room. This stove would fit in the shallower fireplaces with its reduced depth. It would look lovely in both classical or modern interiors with its built in log store, clean line and good size fire box. It is available in many different colours. This is a convecting stove that would fit in the shallower fireplaces with its reduced depth and reduction to combustibles. It would look lovely in both classical or modern interiors with its built in log store, clean line and good size fire box. 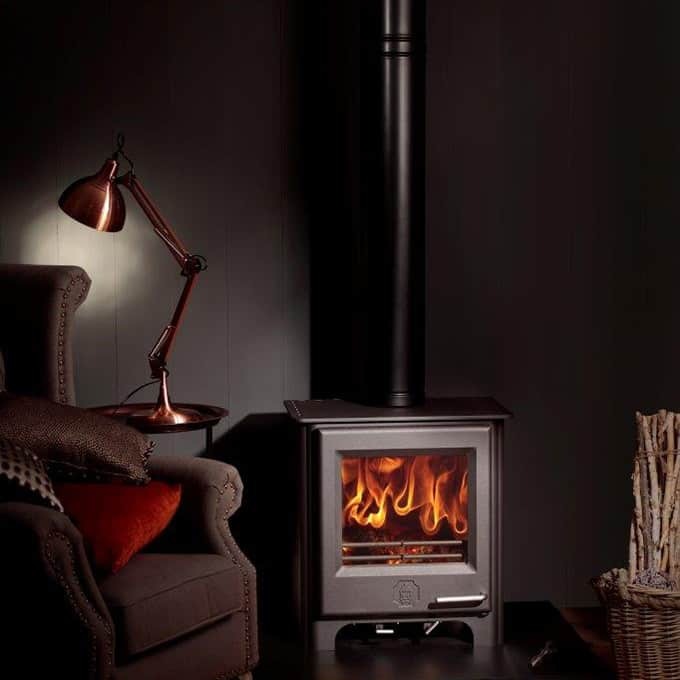 The Fireblaze 6kW stove, would look stunning in a modern interior, with its unbroken view of the fire and the simple but elegant design. It also has a clean burning system and easy to use controls. 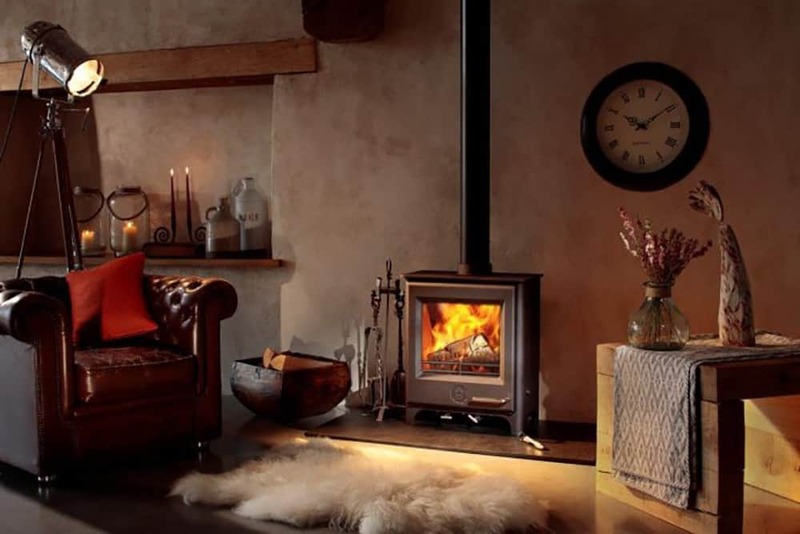 The Fireblaze convector 6kW stove, would look stunning in a modern interior, with its unbroken view of the fire and the simple but elegant design. With its convecting side panels air gets distributed evenly. It also has a clean burning system and easy to use controls. The Fireblaze convector tall 6kW stove, would look stunning in a modern interior, with its contemporary design. It has a integral log store for height and connivence. It has built in side convecting panels to heat the air up and evenly distribute the air around the room. 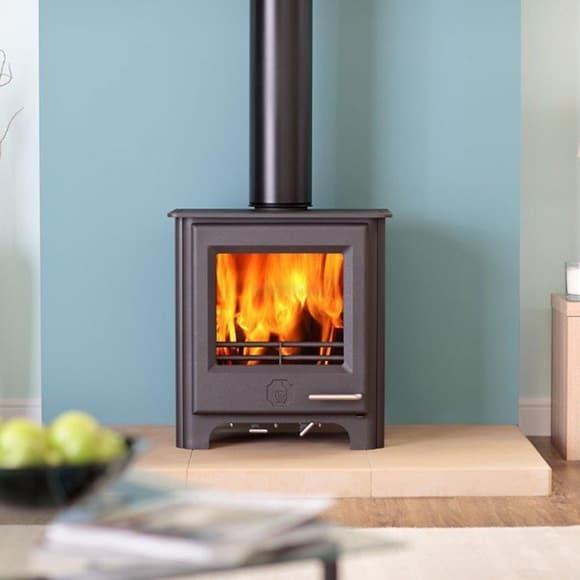 The Firebug 8kW would suit larger rooms with contemporary interiors, as this stove has a stylish design with its smooth straight lines and a large viewing glass. Other colours available to choose from. 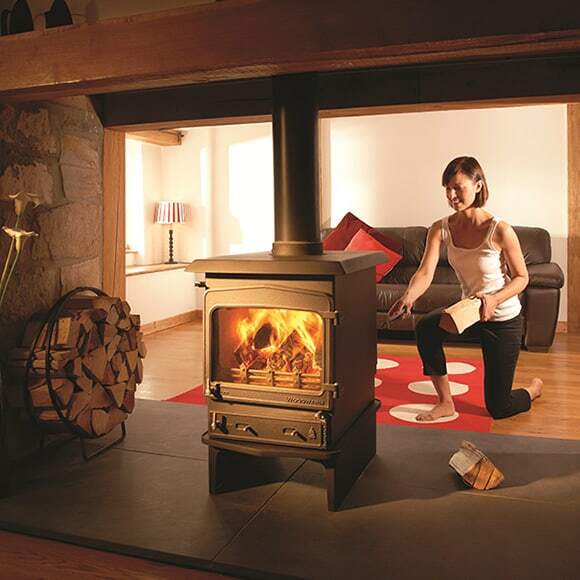 The Firebug 8kW Tall would suit any contemporary interior. 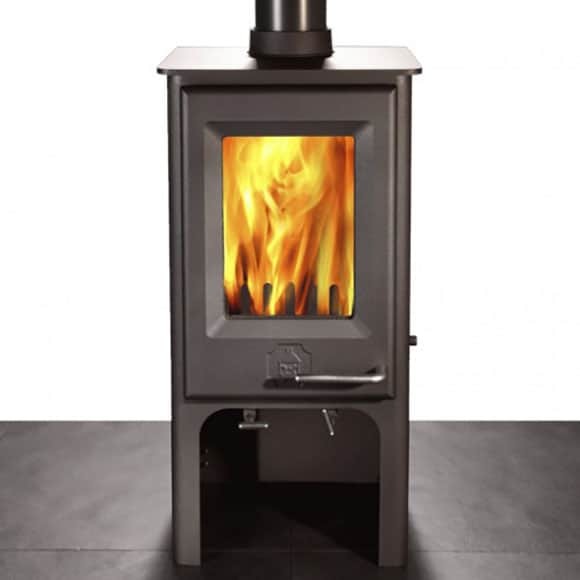 This stove is the same as the Firebug 10kW but has a integral log store giving the stove height and connivence of storing logs. It also comes in a array of colours. 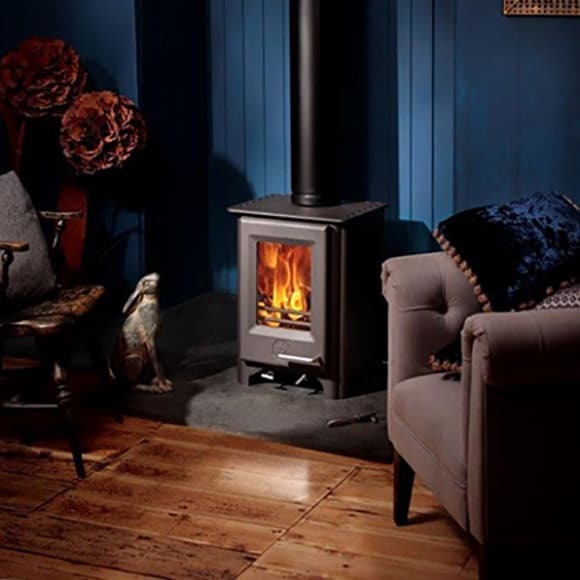 The Fireview Slender 5kW is a lovely traditional style stove with a classic arched door. It has a large glass door for viewing the fire. 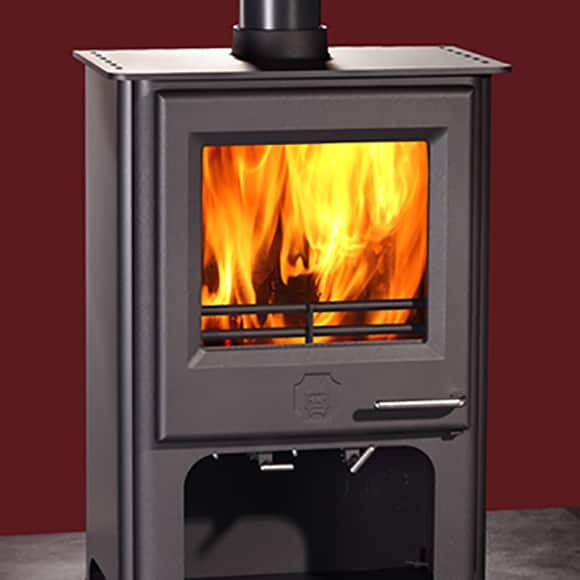 This stove is multi fuel and comes in many different colour options and stove top features. This traditional 7kW stove is multi fuel and has a lovely large window to watch the rolling flames. Perfect for the shallower fireplaces due to its reduced depth, plus many different options to choose from too. 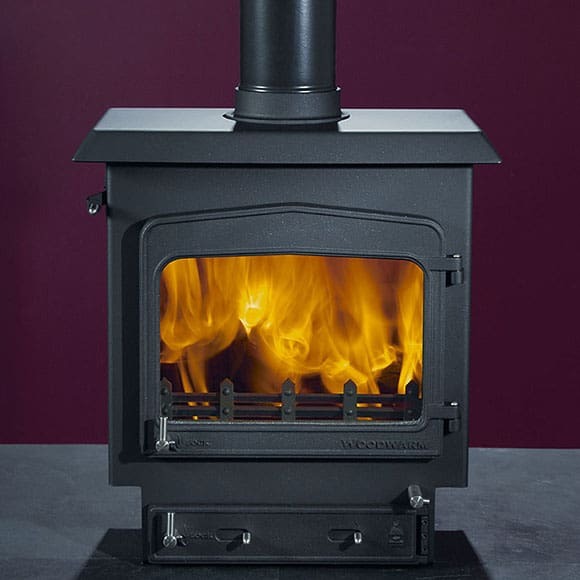 The Fireview 6kW is a traditional style stove with a classic arched door. It has a large glass door for viewing the fire. 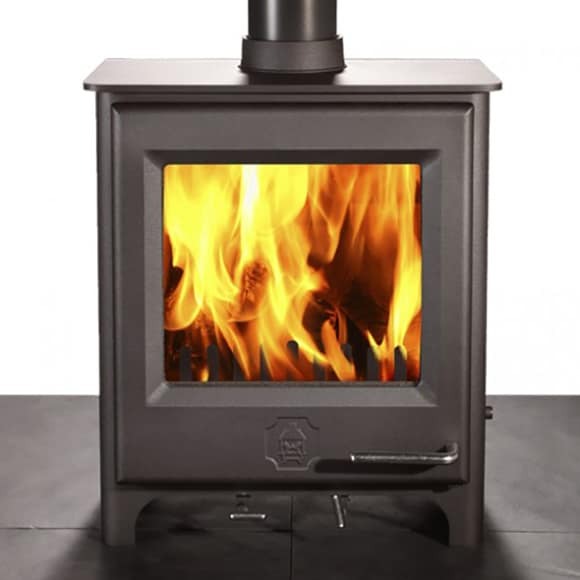 The Fireview Double Single 6kW, is a double sided traditional style multi fuel stove. Logs can be loaded from both sides of this stove making loading easy. This stove has many different stove top options, such as flat top, profile flat top and canopy options. 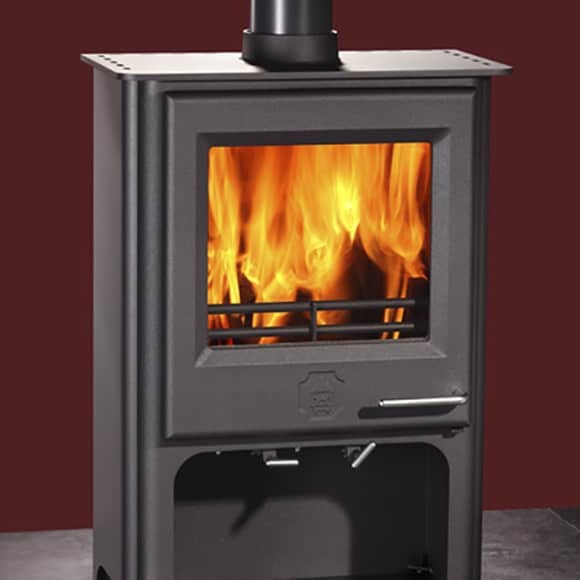 This double sided stove also comes in a variety of colours. 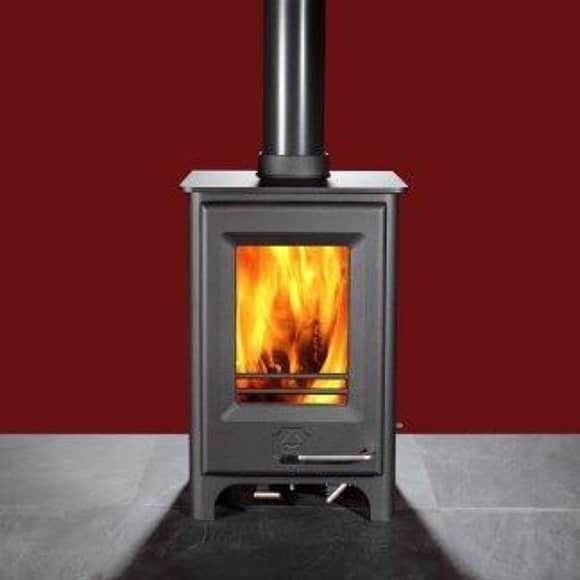 This 9kW stove is multi fuel and would suit larger traditional rooms. 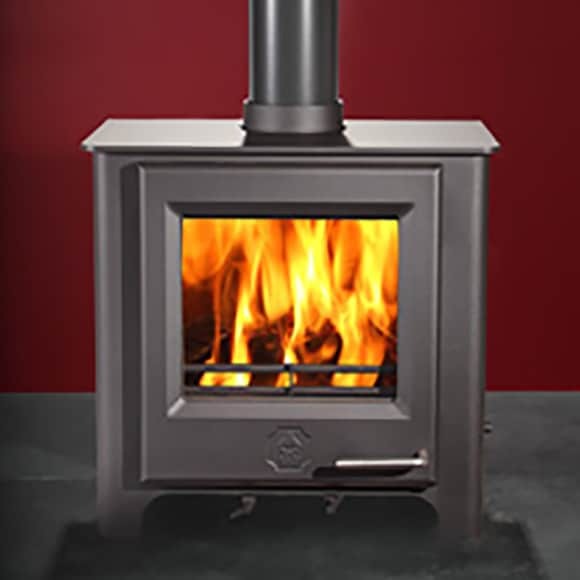 The Fireview 9kW comes with many different options and features making it a unique stove to any room. It also comes in array of colours. 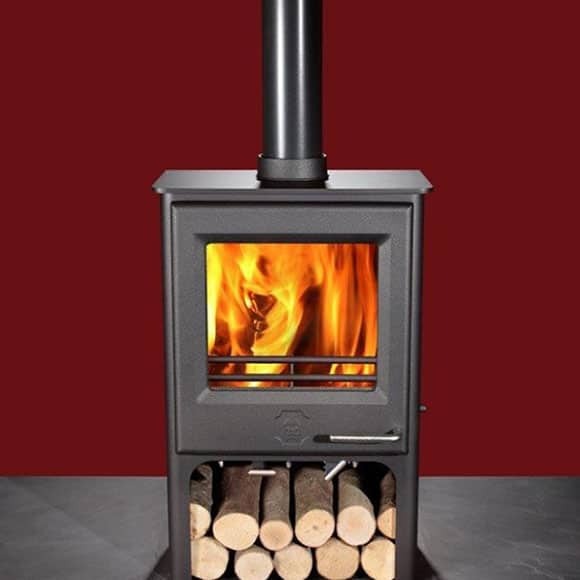 This 10kW multi fuel stove is perfect for larger rooms. The Fireview PLUS slender 10kW is slimline but has a large glass door which generates clean and clear view of the rolling flames of the fire. This stove comes with many options and features like the other ranges from Woodwarm.